Punjabi restaurant in Gants Hill, in the 2007 Good Curry Guide. 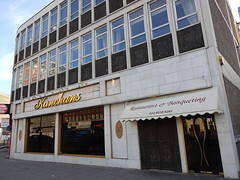 Note that although the address is Perth Road, the restaurant is actually located around the corner from Perth Road proper, facing onto the roundabout with the Tube station underneath. Last edited 2017-03-11 20:05:13 (version 5; diff). List all versions. Page last edited 2017-03-11 20:05:13 (version 5).